As a young girl, Sarah painted the finishing details in the decorative areas of her father’s canvases, like lacework and flowers. Her first public works date from 1816 with subjects such as flowers and still lifes, but she soon turned to portrait painting. At the age of eighteen, Sarah drew a self-portrait, a tradition in her family. If the portrait was successfully done, her family would consider her an artist instead of a student. James Peale was not pleased enough with Sarah’s self-portrait, so she decided to do something different from the rest of her family – something other than still-lifes and miniatures. 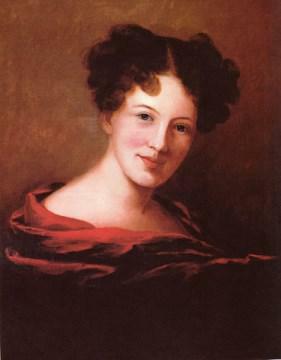 In 1818, she spent three months in Baltimore, Maryland studying with her cousin, noted portrait artist Rembrandt Peale, learning new techniques, and again in 1820 and 1822. He greatly influenced her painting style and subject matter. After experimenting with still lifes and miniatures, Sarah Peale exhibited her first full-size portrait at the Pennsylvania Academy of the Fine Arts in 1818. In 1824, Sarah and her sister, miniaturist Anna Claypoole Peale, became members of the Pennsylvania Academy of Fine Arts, America’s most prestigious institute. They were the first women to achieve this distinction. Sally [Sarah’s nickname] also possesses great talents, her first and second attempts in Portrait are now exhibiting in the Academy of the Fine Arts and each of the girls [Sarah and her sister Anna Claypoole Peale] have had their share of praise by the critics in the newspaper. 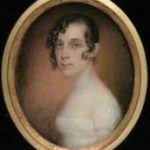 By 1820 Sarah was often occupied with portrait commissions in Baltimore. Starting in 1822 she exhibited there annually at the Peale Museum, and by 1825, she maintained a studio there. Her portraits are distinctive for their detailed furs, laces, and fabrics – and realistic skin, faces, and hair. Sarah Peale was not only a great artist, she was a pioneer for single, independent professional women. She left her family home to live and work on her own. Although there was virtually no precedent for women pursuing art professionally in the United States, Sarah launched an independent career as a portrait artist, working in Philadelphia and in Baltimore, Maryland. Peale opened her studio in Baltimore and established herself as one of Baltimore’s most capable portrait painters. At this time, prior to photography, there was a wide market for portraits, and she attracted some of the best subjects. Diplomats, congressmen, and other public figures wanted to be drawn by her, and then bought her paintings. 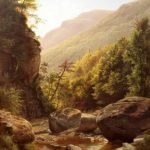 Some of the men she painted include Massachusetts Senator Daniel Webster, Missouri Senator Thomas Hart Benton, and French General Marquis de Lafayette. Sarah painted over one hundred portraits of members of Baltimore society, more than any of her competitors in that city. For 25 years, she painted in Baltimore (1822–1847), with occasional trips to Washington, DC, where she attended sessions of Congress and painted portraits of men in the government. More than 100 commissioned portrait paintings are known from her time in Baltimore and she was the most prolific artist in the city during that era. Her subjects were wealthy Baltimore residents and politicians from Washington DC. 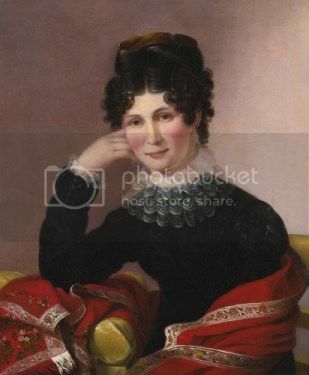 Miss Sarah M. Peale intends visiting our city the approaching fall, for the purpose of painting several portraits. Four specimens from the pencil of this lady are now in the Missouri bank, and they clearly prove her title to rank among the first of American artists. Peale became independently successful in St. Louis and continued to earn a living through her work. 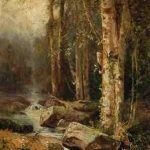 She became successful as a painter of portraits, mainly of politicians and military figures, and the occasional still life, while working in St. Louis (1847-1878). There, she continued to be a leading portrait painter of her day. 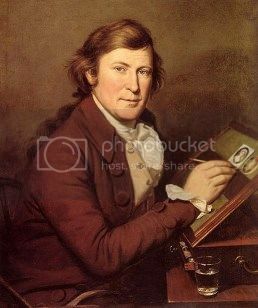 Records show that Peale received many more portrait commissions than celebrated male painters of that time, such as Thomas Sully and John Vanderlyn. Most of her work from this era is in private hands and not available for viewing. 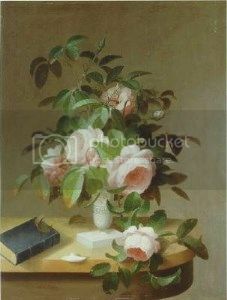 Around 1860 Peale inexplicably returned to painting still lifes, but with more natural arrangements than her earlier works. She won numerous awards for these works, as well. 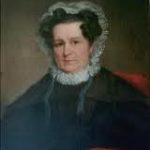 Sarah Peale returned to Philadelphia in 1878, having lived away from home for more than fifty years, first in Baltimore, and then in St. Louis. She spent the last years of her life in Philadelphia, living with her sisters, Anna Claypoole Peale (1791-1878) and Margaretta Angelica Peale (1795-1882). Like her sisters, Sarah never married, preferring to devote her energies to her career. Sarah Miriam Peale died February 4, 1885 at age 85, and was buried at the Gloria Dei (Old Swedes’) Church. Sarah Miriam Peale is noted as a portrait painter, mainly of politicians and military figures. Marquis de Lafayette sat for her four times. She won numerous awards throughout her life, and she was one of the first women in the United States to achieve professional recognition as an artist. She maintained a career for more than fifty years and supported herself without marrying, which was almost unheard of in the mid-nineteenth century.